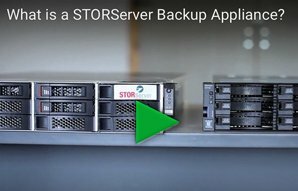 STORServer, Inc. will arrange for the original packing and shipping of the STORServer Product (Backup Appliance and/or Software) from the STORServer, Inc. factory to the Customer, satisfying the Reseller’s Purchase Order. STORServer, Inc. provides each Customer a 30-DAY Acceptance Period, which begins upon delivery of the STORServer Product to the Customer. The Customer may elect to return any STORServer Product for any reason within the 30-Day Acceptance Period. In order for a STORServer Backup Appliance to be returned to STORServer, the Customer must obtain an RMA (Return Material Authorization) from STORServer. The Customer must pack the Backup Appliance in the original packing material as received from STORServer, Inc. and pay all insurance and shipping costs for the Backup Appliance’s return to STORServer, Inc. (Contact STORServer for replacement packing material, if needed.) While the Backup Appliance is in the Customer’s possession, the Customer will be solely and fully responsible for any damage or loss to the Backup Appliance that may occur during, including the 30 DAY Acceptance Period and the return shipment, if any. For complete documentation, please call your authorized reseller or contact us at 1-800-550-5121.